After listening to the community - while trying not to push away their users in the process - Blizzard decided that their forums won't require real names, as recently announced. Mike Morhaime said "We've decided at this time that real names will not be required for posting on official Blizzard forums." He added "However, when we launch the new StarCraft II forums that include these new features, you will be posting by your StarCraft II Battle.net character name + character code, not your real name. 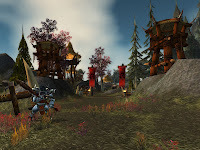 The upgraded World of Warcraft forums with these new features will launch close to the release of Cataclysm, and also will not require your real name." But take note that while the forums won't require the Real ID, for the games it's a different scenario: "I want to make sure it's clear that our plans for the forums are completely separate from our plans for the optional in-game Real ID system now live with World of Warcraft and launching soon with StarCraft II."